About AZOMITE Mineral Products Inc.
AZOMITE is a uniquely natural material, mined in Central Utah, USA. For over seventy years, crop producers have used AZOMITE to support plant growth and vitality. AZOMITE requires no mixing. It is odorless, will not burn plants and will not restrict aeration or water penetration. AZOMITE is not manufactured or chemically prepared. It is 100% naturally derived and is completely free of additives, synthetics or fillers. Mineralogically, AZOMITE can be described as a rhyolitic tuff breccia, which is a hard rock formation that formed from the dust of a volcano that erupted an estimated 30 million years ago. The deposit resulted from the volcanic ash merging with seawater to form a mineral composition completely unique to its location and circumstance. The registered trade name, AZOMITE, stands for the “A to Z of Minerals Including Trace Elements”. Chemically, AZOMITE is a hydrated sodium calcium aluminosilicate (HSCAS) containing other minerals and trace elements which the National Research Council recognizes to be essential. HSCAS is listed in the U.S. Code of Federal Regulations (21 CFR 582.2729) as an anti-caking agent that is generally recognized as safe (GRAS) by the FDA. After completing a series of manufacturing steps AZOMITE is stored for bulk shipment or packaged in bags and palletized for distribution all over the world. unique and natural properties of AZOMITE. AZOMITE (pronounced ā-zō-mite) is an acronym for the “A to Z of Minerals Including Trace Elements — registered as a trademark by its founder, Rollin Anderson in the early 1940s. 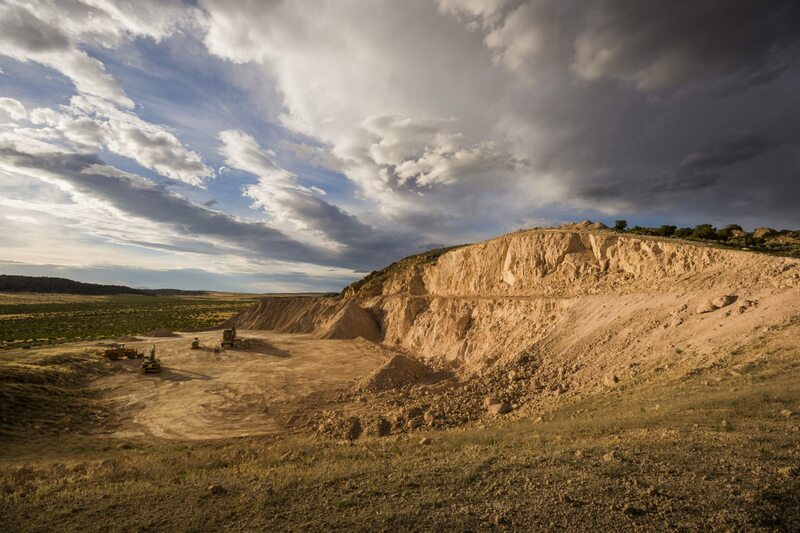 Anderson tested and sold crushed AZOMITE® as a feed additive and soil amendment, throughout Utah and California, until businessman W. Wesley Emerson took an interest in further development and leased the reserves in 1988. As Company President, Emerson, further developed the AZOMITE market and created a team capable of achieving significant goals for the future. 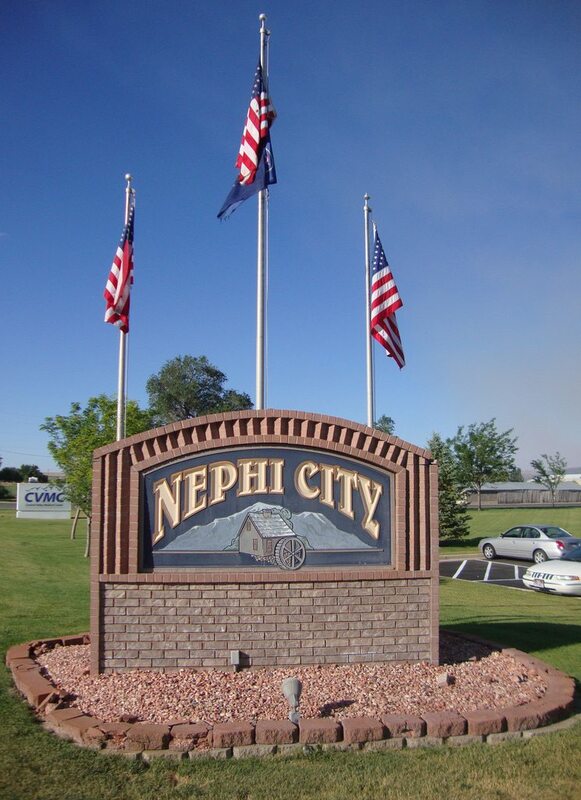 In April of 2011, AZOMITE’s operations were consolidated to its Nephi, Utah headquarters, where significant streamlining of production has been implemented in proximity to its source. 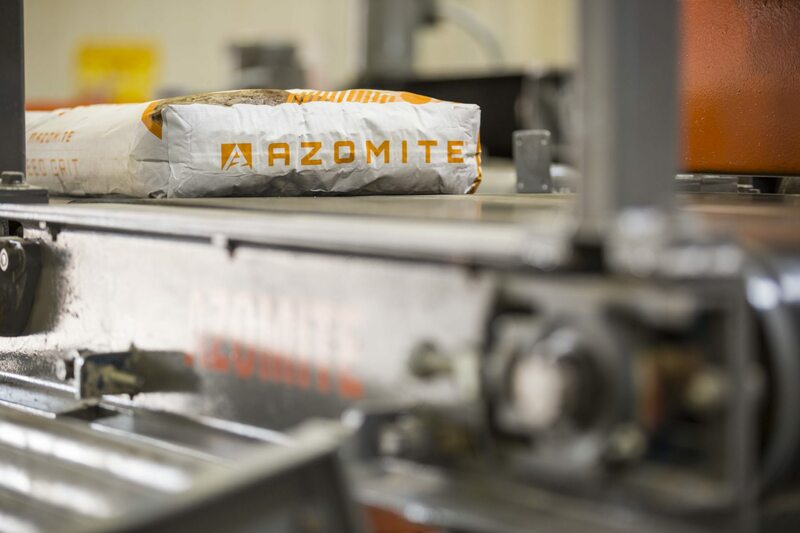 AZOMITE continues to become a mainstay in agriculture around the world, as a poultry and livestock feed ingredient and a remineralizing soil fertilizer. Want to learn how AZOMITE remineralization can dramatically improve your soil, gardens, flowers and crops? Contact us now. Sign up for the Azomite newsletter! owned by AZOMITE Mineral products, Inc.